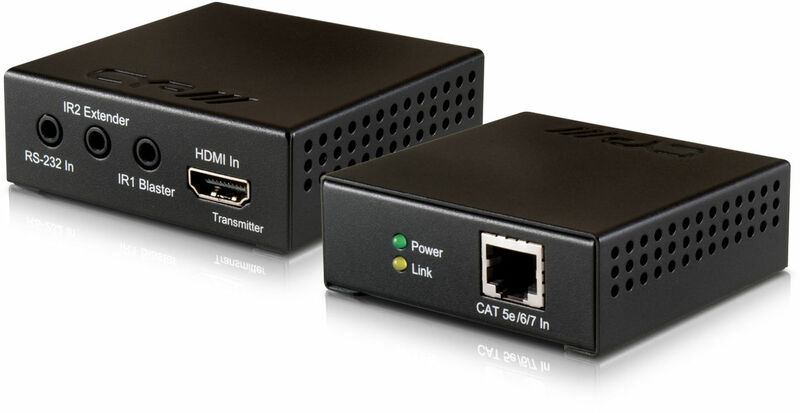 ​​​The CYP PU-515PL-TX Transmitter and Receiver kit allows uncompressed HDMI, RS-232, 2-way IR and power signals to be transmitted over a Single CAT5e/6/7 cable. These combined HDMI and control signals can be transmitted up to lengths of 60 metres. See also: CYP PU-515PL-RX.